After a extensive renovation this year, SummerStage will reopen it’s doors in June 2019! 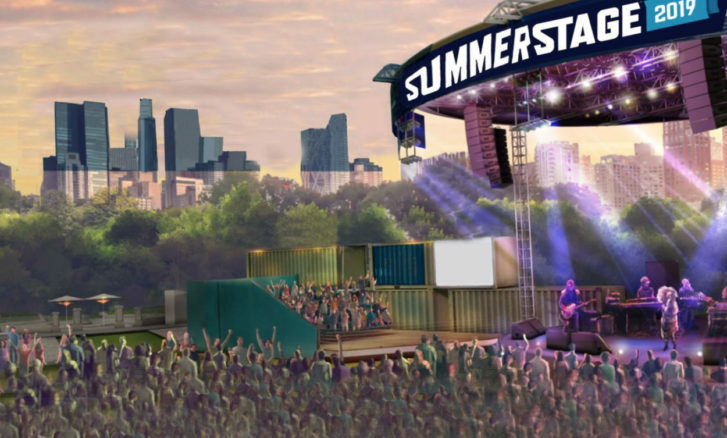 The New SummerStage in Central Park will feature a larger stage, new lighting, a new sound system and more. Now is your chance to be a part of the change and show your support by naming a seat at the new SummerStage! SummerStage is not only the largest free, outdoor performing arts festival in New York City, providing 200,000 people each year with the best in local and international artists, but for more than three decades, it has been one of the most iconic New York City summer experiences. Our Central Park flagship stage has hosted some of the world’s most iconic artists, along with the next generation of artists. With your help, we will be able to close out our renovation campaign and ensure that New Yorkers experience SummerStage at its very best, free of charge. Now is your chance to be recognized at the festival you love by naming a seat in our Stage Right seating area — the best views in the house! For a contribution of $5,000, you can place a plaque on a seat in our newly renovated venue to pay tribute to a loved one, a favorite musician, or a major life event. For more information, please contact Jessica O’Hare at johare@CityParksFoundation.org.